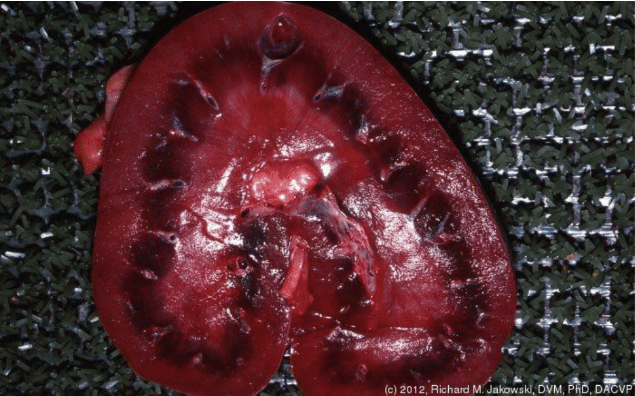 Chronic Kidney Disease in the Horse Chronic kidney disease is a progressive disease, so early detection and intervention is critical to improving outcomes. The most common signs linked to chronic kidney disease are weight loss, ventral edema (usually located between their front legs, or a swollen sheath), increased urination (polyuria), increased water intake (polydipsia), or generally just not doing right. Some other signs include increased tooth tartar (especially on their canines and incisors), gingivitis and oral & intestinal ulcerations. Chronic kidney disease can be suspected from bloodwork and urine screening. 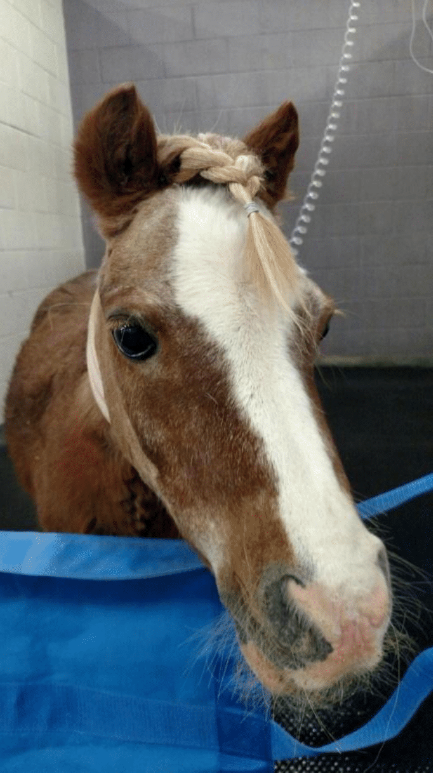 If azotemia (increased kidney values) is noted on bloodwork or the horse isn’t appropriately concentrating its urine, then kidney disease should be suspected. To differentiate dehydration from kidney disease, horses should be given fluid therapy. Response in 24 hours helps the clinician determine the severity of disease. If kidney values remain high, even with diuresis, then primary kidney disease is strongly suspected and further diagnostic testing should be pursued. However, the specific cause of the chronic kidney disease is often unknown. Once a chronic kidney disease diagnosis is made, or if it is suspected, any drugs that are considered toxic to the kidneys (ex: Bute, Banamine & some antibiotics) should be avoided to prevent further damage being caused. Further treatment involves dietary changes however the most important goal is to maintain a good body condition. Thesehorses should receive a good source of protein, but in moderation since too much protein can cause harm to the kidneys. Other dietaryoptions should include good quality grazing and increased carbohydrate & fat intake – this increases caloric intake and helps maintain condition. Prognosis varies individually, with end stage chronic kidney disease carrying a poor prognosis. However in the earlier stages of disease, prognosis may be fair, as long as the horse’s attitude, appetite and body condition remain acceptable.